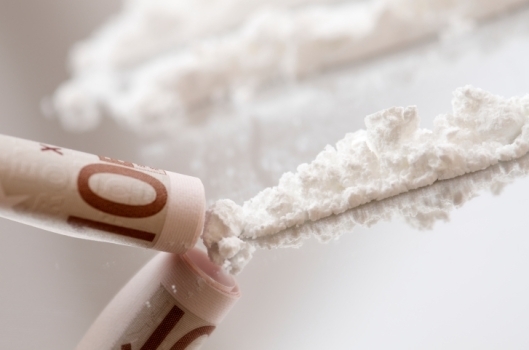 Is Cocaine Behind The Recession? Mervyn King, the governor of the Bank of England, suggested in his Mansion House speech that "the role of a central bank in monetary policy is to take the punch bowl away just as the party gets going." Two years earlier, former US president George W Bush made the typically concise statement that "Wall Street got drunk" when he was asked for his take on the main cause of the worldwide financial crisis. Recently, however, cause has emerged to suspect something more dangerous than mere alcohol as a significant symptom, if not the underlying cause, of the recession, as former drug tsar David Nutt explained to the Sunday Times that banking officials making regular use of cocaine were the ones who "got us into this terrible mess." Geraint Anderson, a former analyst with a City career of over twelve years who is now a columnist for thelondonpaper, is apparently inclined to agree from his own experiences as he wrote in his recent column. One of the more well-known effects of cocaine use is to produce bouts of excitement and an ability to become very confidently and convincingly talkative about anything and everything. Anderson therefore suggests that the credit bubble from the mid-2000s was a direct results of this behaviour, which he refers to as "irrational exuberance." He adds that many financial traders were far better able to see what he calls "absurdly complicated financial weapons of mass destruction" after taking cocaine as a confidence booster, and even adds that "cocaine ravaged buffoons" were responsible for buying up billions of mortgage-backed securities which were "so clearly doomed to explode" when the propery market slowed. Anderson continues his column with a discussion of how he commonly saw the effects of cocaine addiction at City bars during his twelve year career in the sector, and regularly overheard the "overconfident gibberish" spouted by banking workers making use of the drug. Dr Chris Luke, who is leading a study of cocaine use in financial sector workers from Cork University Hospital in Ireland, published a statement back in 2010 that seems to support Anderson's theory. While not everyone who uses drugs and/or alcohol is in a position to have such a dangerous effect on the economy, it is all-too common for addicts to cause devastation to their families through poor decision making, which is usually fuelled further by financial problems as they search for their next "hit" to the exclusion of all other considerations. The need to get clean as fast as possible prompts many people to urgently seek out private rehab, and many addiction advice providers like Rehab Recovery will even offer specialist service for high powered career professionals in the form of executive private rehab. Find out more on their website, www.rehab-recovery.co.uk.